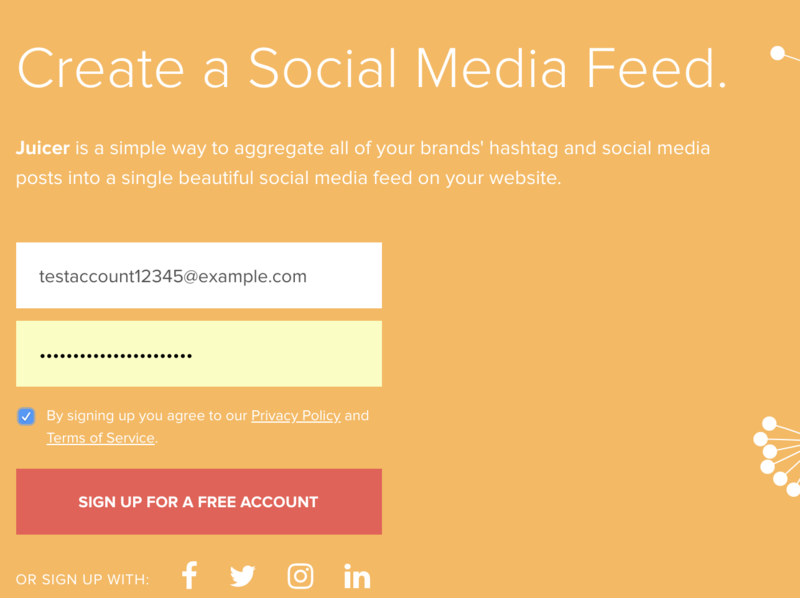 Juicer takes posts from your social media accounts, hashtags and RSS feeds and blends them into a beautiful feed on your website that refreshes automatically. It's an easy way to keep the content on your website fresh, as it does all the work of pulling in social media posts and displaying them for you. To begin, sign up using the form on our homepage. Please note that this field cannot be used to log in later (you can do that from https://juicer.io/log-in). Once you've done this and completed the confirmation step (you will be sent a verification email), you will be asked to add the first source to your Juicer feed. A "source" is any social media account or hashtag whose posts you display. Your sources are shown within the "feed", which is the wall of posts that you embed on your website. Simply click on a social network, and you can add a source from that network. We'll use Instagram as an example. At the top of the window, you can select "Username", "Hashtag" or "Location". The "username" option means that Juicer will display the posts from a single Instagram account. The "hashtag" option means that Juicer will display posts from public Instagram users who post with the hashtag you enter. The "Location" option is based on Google Map IDs. You can enter an exact location number, and Juicer will display posts that are tagged with that specific location (this is pretty rare). Most social networks have similar options, but each has certain features or restrictions. For example, you must have the login details for any Instagram username source you want to display. And with Facebook, hashtags are not available. If you scroll down, you will see about 16 posts in the feed. Juicer works by obtaining posts from the social networks in batches, at set time intervals. That interval depends on your plan level. The higher the plan level, the more frequently Juicer will pull in the latest posts. Right now, Juicer has only obtained a single batch of posts. As time goes on, more posts will appear in the feed. If you need us to obtain older posts for your account or hashtag, we can do that in some cases (just contact us via Intercom or email). Your Juicer dashboard shows what your Juicer feed will look like once it's embedded on your website. Any changes you make to the feed here will be reflected where you embed the feed. These changes will not impact the social posts back on the social network, so you don't need to worry about deleting or changing posts. The toolbar on the left-hand side of your screen allows you to adjust the look of your feed, set filters in place, access your moderation section, access your embed code, and do other tasks. We will not go into great detail here - you can access more tutorials and information from our Help Center. On our free plan, you can add any two sources into this area. On our "Medium" plan ($19 USD per month), you can add any five. Higher plan levels allow you to add more sources, or to build more feeds. To remove a source, simply click the source in this panel and select "Delete". Doing so will move the post out of your feed and into your "Moderated Posts" section. 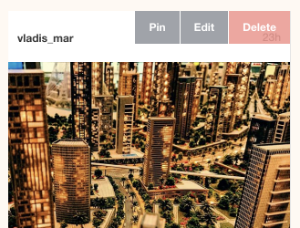 You can also select "Pin", then refresh your page to see the post pinned to the top part of your feed. You can do this with multiple posts. Click the "Moderate and Filter" panel and you have more flexibility to allow or block posts. This is particularly useful if you are displaying a hashtag source, since you can't control how people post with that hashtag. If you'd prefer to manually review all posts before they appear in your feed, turn on the "Send all posts to moderation" option. If not, you can turn on the "Don't allow posts with profanity" option, or insert specific words or phrases that you want to block. You can also insert words or phrases that the posts must contain to appear ("only allow posts with these words"). Once you have curated the feed to your liking, and chosen a feed style you prefer from the "Feed Settings" panel, you can embed the feed on your website. After signing up, you will receive an email that contains the embed code for your Juicer feed. You can also obtain this code from the "Embed in your site" panel of the Juicer dashboard. You can embed any Juicer feed in as many locations as you like, and even make customizations to the different embeds. Simply paste your embed code into your webpage, using your website's content management system, and your feed will appear on the page. 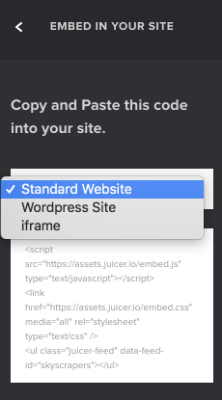 The standard version of Juicer's code is commonly used, but there is also a Wordpress plugin/shortcode, and an iframe version, both accessible from this same panel. The iframe version of the code is not mobile responsive, nor can the post overlays (pop-ups) be used in this version. If you encounter problems embedding your feed, take a look at our Technical Topics help section. You can also contact support using Intercom (the bubble in the lower-right corner of your screen). 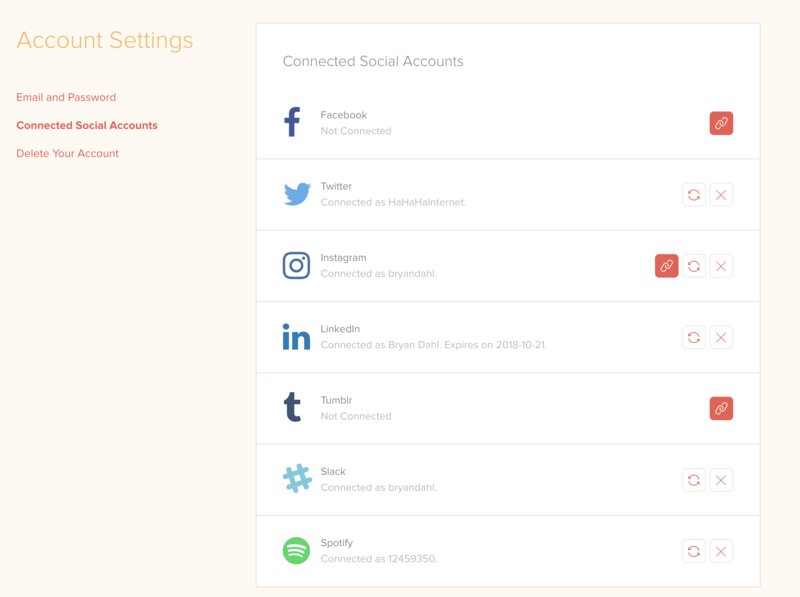 These connections help Juicer obtain posts on your behalf from the social networks. In some cases, they are essential for the feed to function. 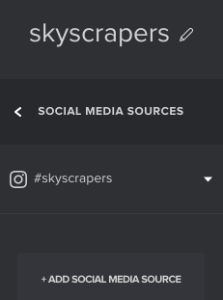 For example, if an Instagram username is listed in your "Social Media Sources" panel of the dashboard, you must connect that same Instagram username on this page. For LinkedIn company pages, you must connect a LinkedIn account here that is an admin for the company page. Some connections expire after a while because of security measures of the social network. You should be notified via email and within your Juicer dashboard, so you can visit this page and click the refresh icon to get your feed functioning properly again. After that, you can access your various feeds' dashboards from this same menu area. Visit our main Help Center, or contact us using the Intercom window in the lower-right corner of your screen. We're always happy to help!